Panasonic Corporation of North America, based in Secaucus, NJ, is the principal North American subsidiary of Osaka, Japan-based Panasonic Corporation (NYSE: PC) and the hub of its branding, marketing, sales, service, product development and R&D operations in the U.S. and Canada. For more than 50 years, Panasonic has delighted American consumers with innovations for the home and business. Panasonic’s consumer electronics and technology products range from award-winning VIERA High Definition Plasma and LCD TVs and LUMIX Digital Cameras to ruggedized Toughbook® laptop computers, communications solutions, networkable office solutions, security systems, home appliances, personal care products, components and entire in-flight entertainment and information systems. 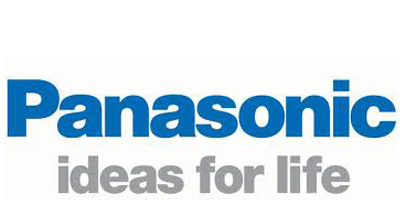 Panasonic operations in North America include R&D Centers, manufacturing bases, the highly rated Panasonic Customer Call Center in Chesapeake, VA, business-to-business and industrial solutions companies and consumer products, sales and service networks throughout the U.S., Canada and Mexico. Panasonic Corporation of North America and its subsidiaries and affiliates employ about 12,000 people in the region.